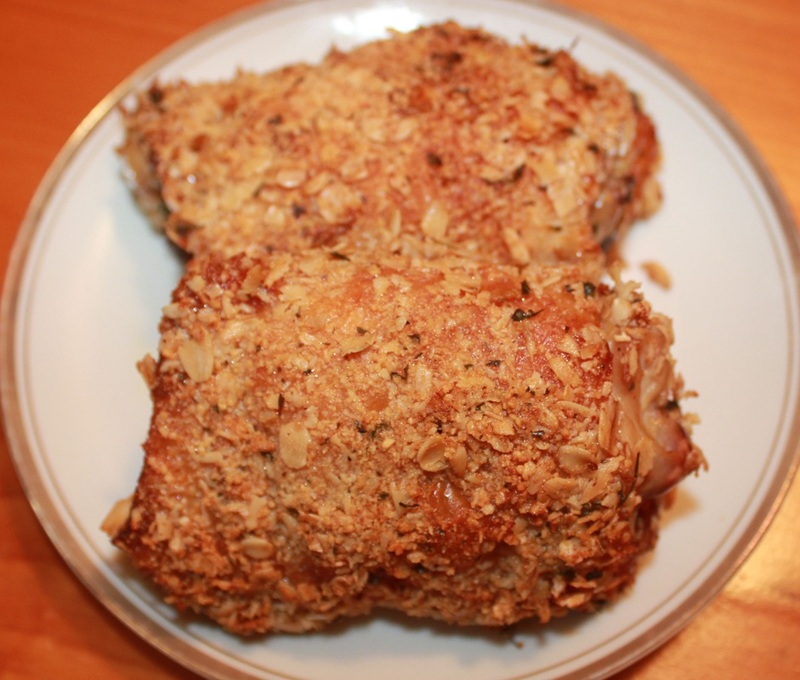 Crispy, oven fried chicken without using flour in the coating. This is a great recipe for those who need gluten free recipes. Wash and dry chicken thighs. Using a mortar and pestle grind the oats until smooth. Pour milk in a small bowl. In a second small bowl, mix the ground oats, Parmesan, garlic, parsley and basil. Dip the chicken thighs into the milk, then coat each piece with the oat mixture. Coat a rack with cooking spray. Place the rack on a rimmed cookie sheet. Place the coated chicken on the rack. Spray the chicken with cooking spray and bake for 25-30 minutes. Chicken is done when no longer pink.